In an online marketing environment where competition seems to increase by the day, it's imperative that your business goes with experts who understand the ways to implement proven solutions. 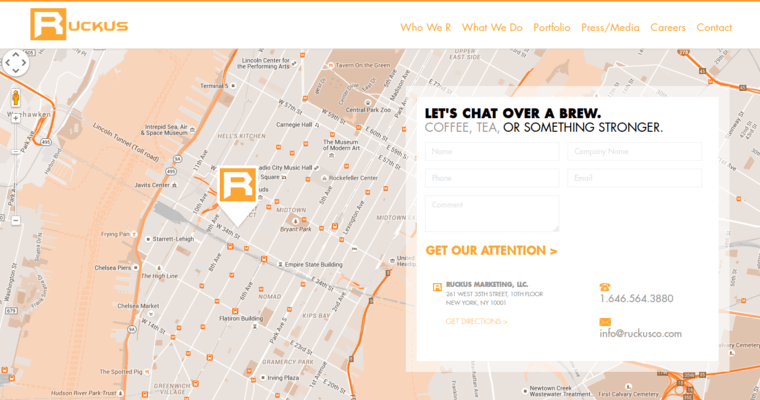 Ruckus Marketing is one such company. 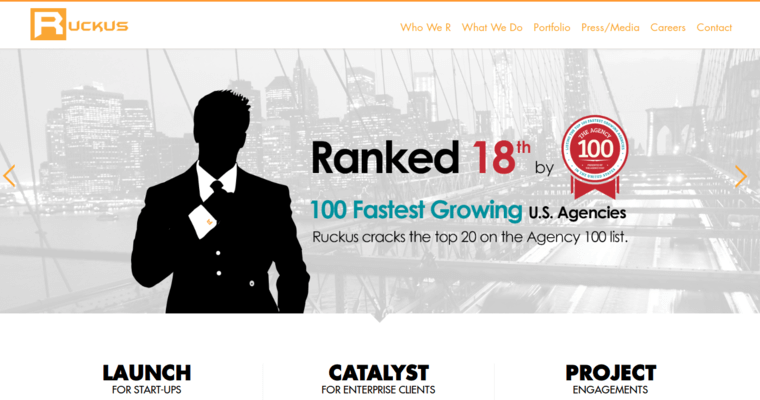 With decades of collective experience between its staff members and a client list that reads like a page out of the Fortune 500 list, Ruckus Marketing has the track record that demonstrates their immense talent at getting results for their customers. Ruckus Marketing has developed its own approach to internet marketing that includes design, search engine optimization, brand DNA and cross-platform, responsive web implementation. Combined, its experience can be put to work for any business, large or small, to see real, measurable returns on online marketing dollars. 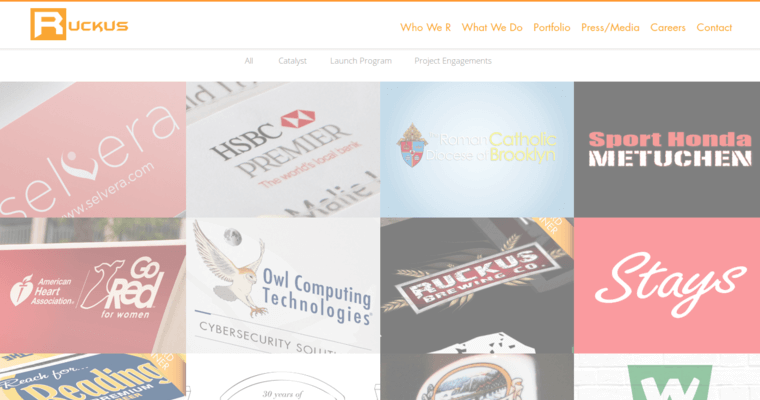 Ruckus Marketing uses objective analytics and proven techniques to deliver solutions that allow businesses to connect with clients in ways and on a level that few can achieve.